In a tale which is a mixture of animal fantasy and human history, we follow the adventures of a family of mill mice on a journey to find a home. We learn about the immigrant experience through the eyes, ears and twitching noses of mice who display the all-too-human attributes we admire in ourselves: bravery, loyalty and the ability to meet hardship with cheerful resolve. 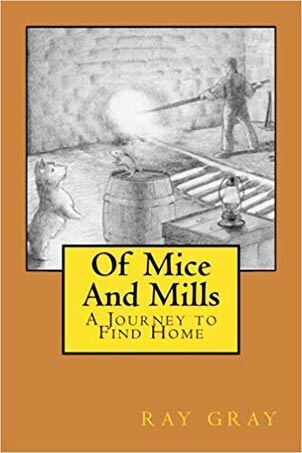 Author and storyteller Ray Gray presents a sweeping narrative of trans-Atlantic immigration during the Industrial Revolution which can share the shelf with animal fantasy classics such as Watership Down and Charlotte's Web.